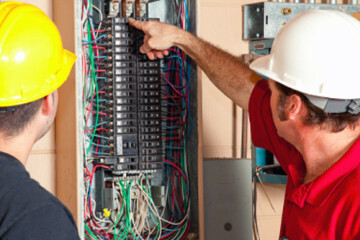 When you hire AJP Electrical, you will receive quality electrical service from a locally owned and family operated business with over 15 years of experience in on-site electrical troubleshooting and maintenance. Today’s electrical panels are well-designed and safe, however homes with panels installed prior to 1980 may contain components that have deteriorated. These panels are now unsafe and pose safety issues to your family. Find out if your electrical panel is safe. 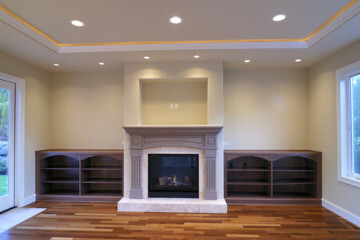 Recessed lighting offers a clean, streamlined look in a home. It can increase the amount of light in a room, and open up spaces so they look and feel bigger. Whether you need special wiring, transformers, bulbs, or IC-rated housings we’ll handle everything from design to installation. Your family’s comfort and safety is our number one priority. We are an authorized reseller and offer interlock installations of Generac home standby generators that can sense outages and turn themselves on within seconds when there is a power outage. Modern electrical panels are properly designed and safe, however some homes with older electrical panels may contain components that have deteriorated. Recessed lighting is a great way to illuminate a room using a minimalistic approach that avoids clutter. AJP Electric, LLC is a family owned business that offers a full range of residential and commercial electrical services throughout Connecticut since 2001. No job is too big, or too small, and we always get the job done right the first time. Our company founder, Joshua Potvin has over 15 years of electrical experience. This gives us a leg up when troubleshooting or developing creative solutions to difficult electrical issues. 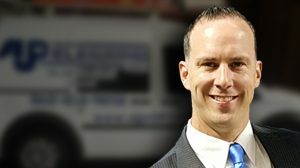 As a reputable electrician, we carry business insurance and are licensed. Our State License Number is ELC.0201598-E1. Highly recommended. We've used AJP in a number of instances. Responsive, punctual, friendly and always does a great job. We received a handful of bids for a tv mount/install/wiring behind drywall & above the fireplace. AJP's bid was competitive but they were the most responsive. We'll continue to use them going forward. Very prompt and professional. Josh did a lot of work at our house for a reasonable price. He answered all of our questions and even gave us some helpful DIY tips. Would highly recommend him to anyone looking for an electrician! Josh was prompt in setting up initial meeting; offered a reasonable quote, and returned to complete project. Excellent work! Josh was great to work with. Very responsive to all questions and concerns. Quickly provided a quote and was able to come out the following week to install the new heaters. The baseboards look and work great. Would definitely use again. AJP Electric, LLC has the experience, capability, and knowledge to undertake any size project and complete it on time and on budget. Whether we are installing a standby generator or wiring a new home, we strive to provide the quality that should be expected when hiring a professional electrical contractor.